If you love recycling and furniture, then you'll love these cardboard furnishings. Who doesn't want to save the planet while sitting on their couch? 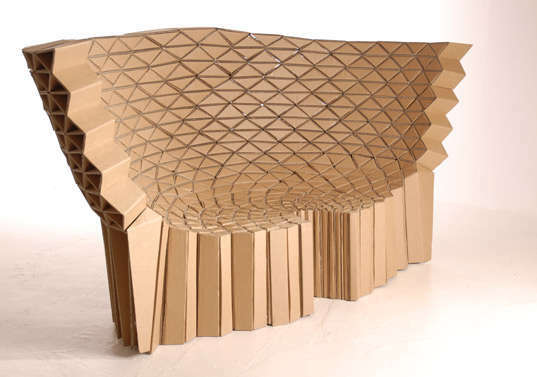 These cardboard furnishings are 100% recyclable and 100% functional. Everything you see here you can use, from cardboard box beds to kiddie chairs. Take a look around and I guarantee you'll think long and hard the next time you consider throwing out a cardboard box. Implications - If you think you're doing your part for the environment, I challenge you to live in a house that's been made entirely out of recycled materials. You could even fill up that house with other finds in this collection such as DIY cardboard kids chairs, cardboard conference cells, and even cardboard speech bubble tables. 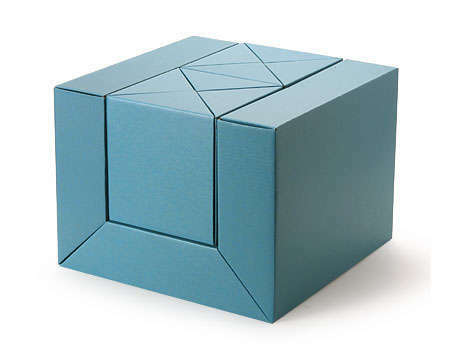 DIY Foldable, Functional, Furniture For Kids... And It's Free!